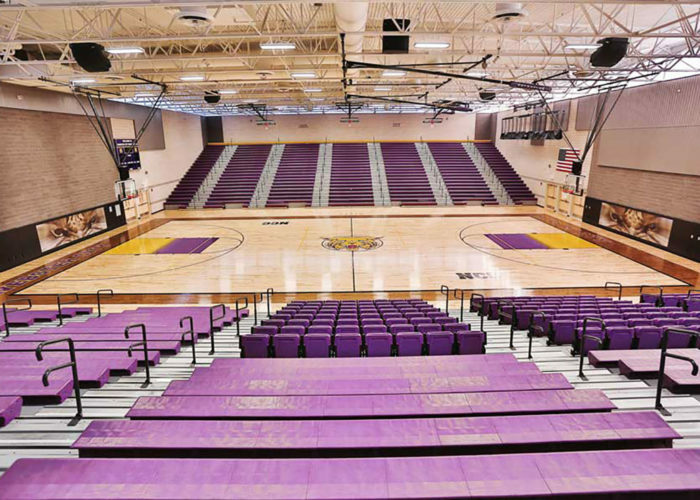 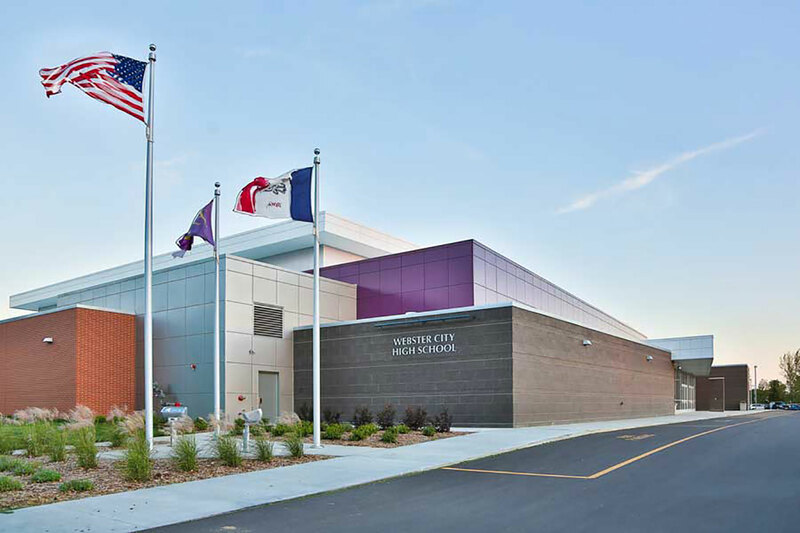 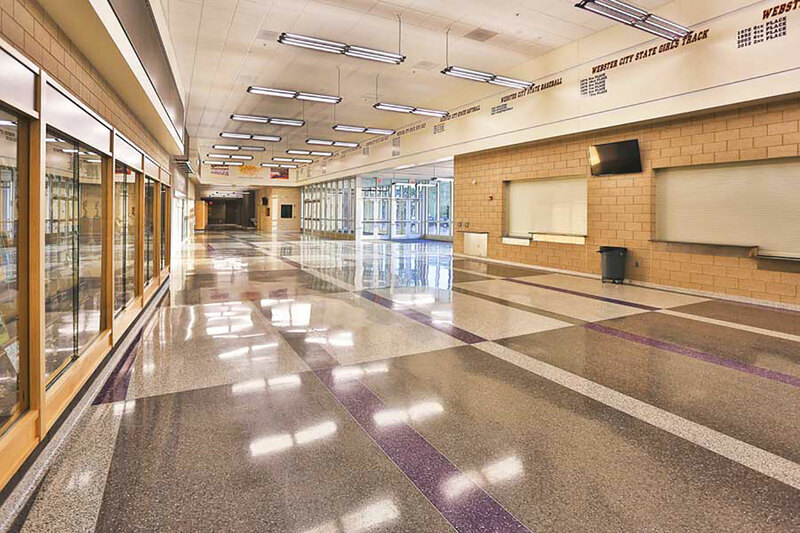 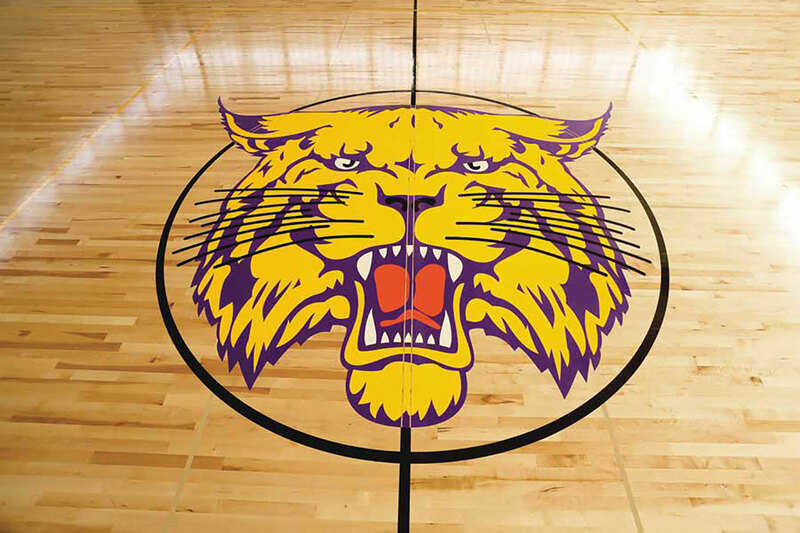 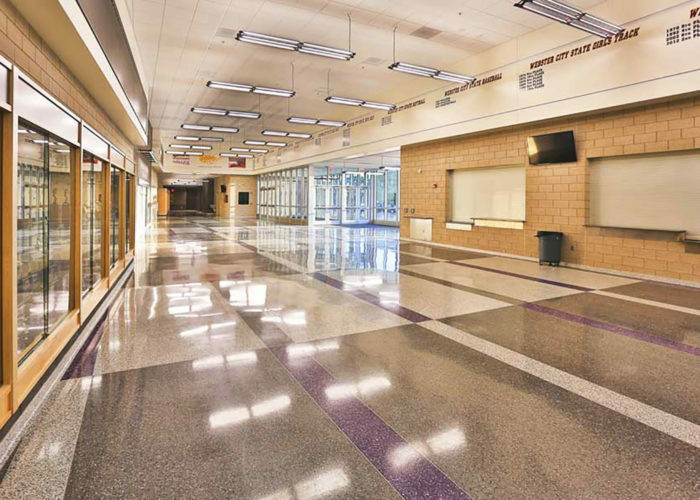 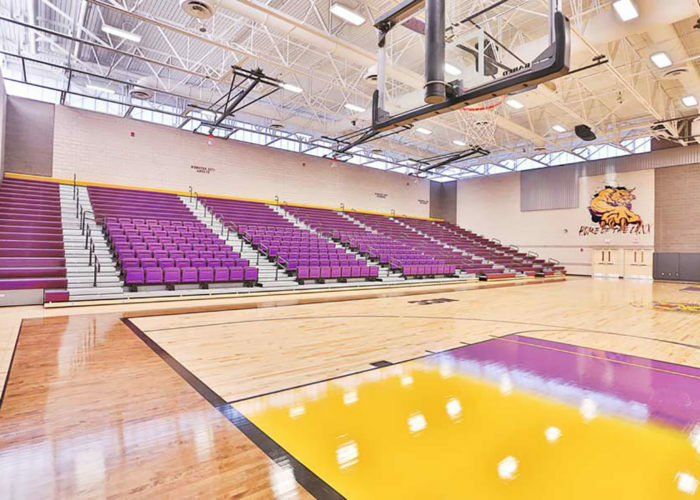 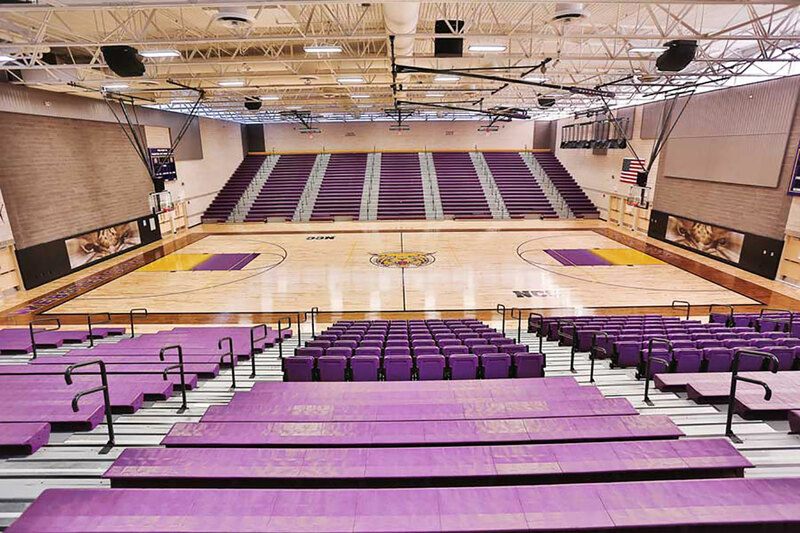 Looking to create a new competition gymnasium to hold tournaments, Webster City Community School District embraced the need for a high impact facility for their high school and their community and turned to FEH DESIGN. 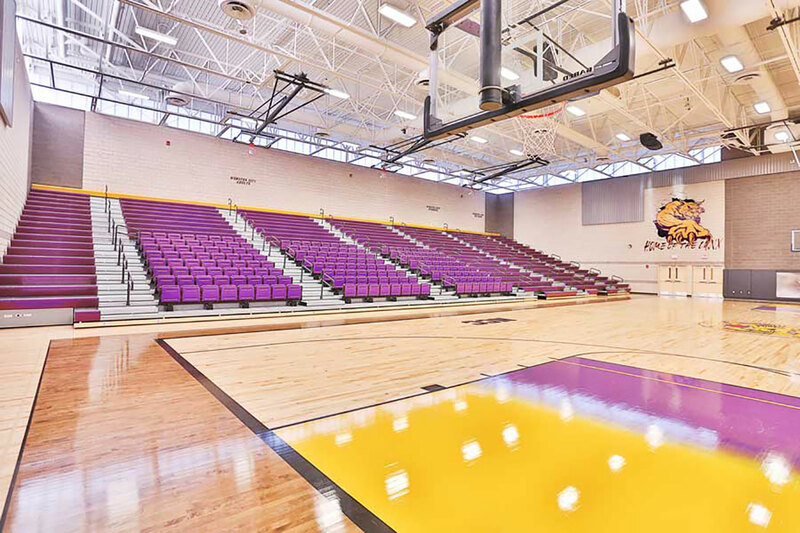 The 18,500 sf gymnasium has seating for over 2,400 spectators which makes it one of the top tournament facilities in northern Iowa for basketball, volleyball and wrestling. 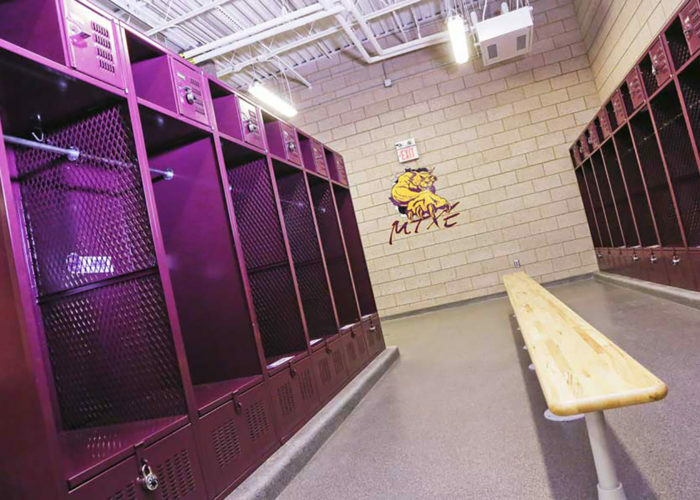 The entire project, just over 50,000 sf of addition, included new varsity and junior varsity locker rooms, Athletic Director’s office, concessions, trainer’s space, an athletic classroom and upgrades to the High School’s existing PE gymnasium and PE locker rooms. 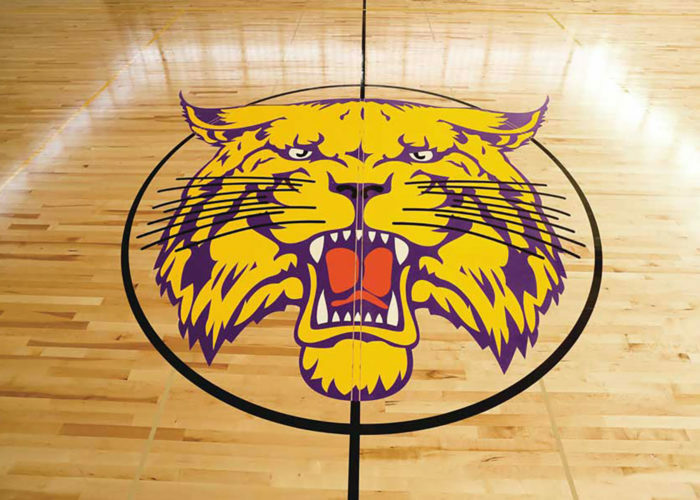 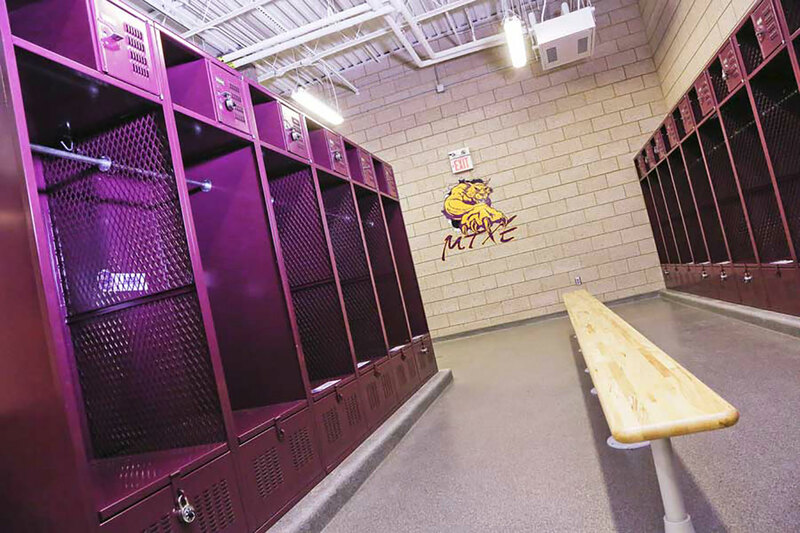 Thermally fused graphics were used throughout the corridors to create areas of history and pride for the athletics of Webster City and were carefully integrated into the design of the masonry, overhead bulkheads and trophy areas.